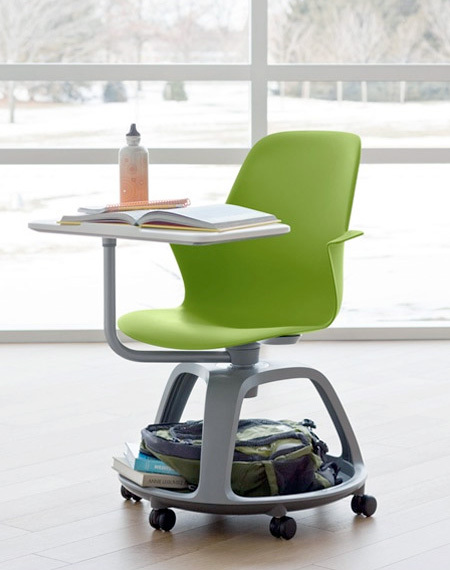 Mobile school chair with integrated desk, backpack storage space under the seat, and wheels designed for modern students. 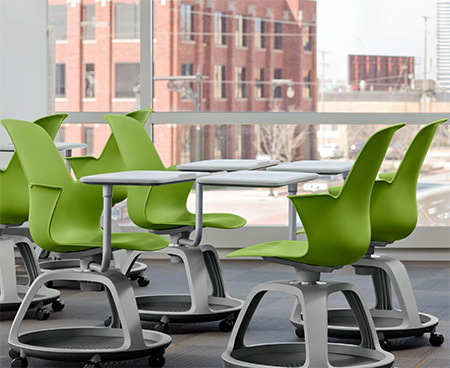 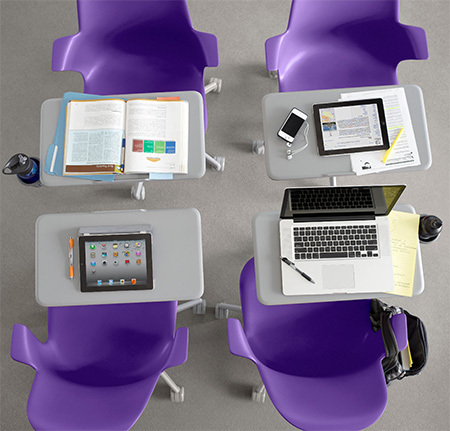 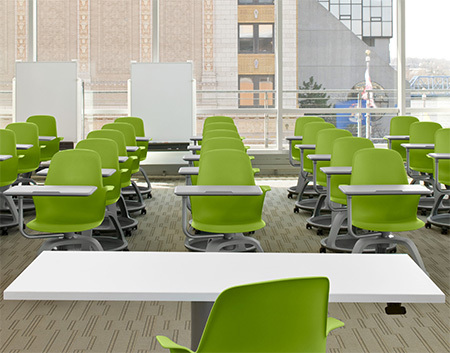 Steelcase “Node Desk Chair” created for quick and easy transitions between teaching modes and group assignments. 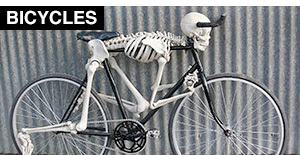 next they will put motors, batteries, and joystick controls. 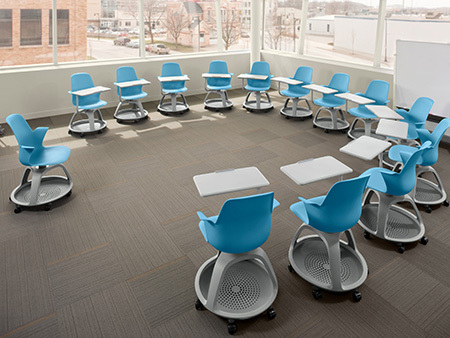 and then they will go from classroom to classroom & cafeteria using those chairs.